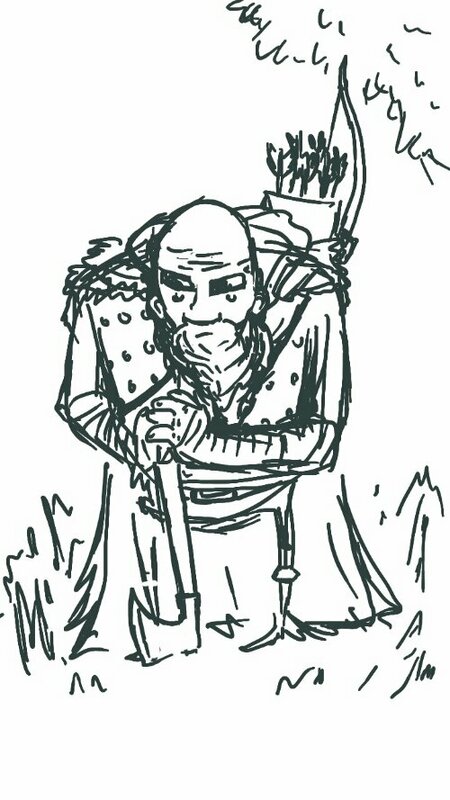 Will have to work on this gnarly old ranger some more I think. This entry was posted in Work In Progress and tagged Arrow, Ax, Axe, Bow, Concept, D&D, Duergar, Dungeons & Dragons, Dungeons and Dragons, Dwarf, Dwarfish, Dwarven, Dwarves, Dwarvish, Elf, Fantasy, Gimli, Gloin, Hobbit, magick, Moradin, Pathfinder, Ranger, RPG. Bookmark the permalink.